Many of us are using sites like gofundme.com or youcaring.org to raise money for specific causes, like animals who need extra medical care, to purchase a vehicle or supplies for your organization, etc. These fundraising platforms are useful because they’re easy and fast to set up, and they have an array of tools that enable users to easily share your campaign. The downside is that the fees can be pretty high (around 4-10% of each donation, in addition to credit card processing fees). You also may have to set up another type of account to accept money (For example, GoFundMe.com only uses Wepay.com to accept payments–you cant integrate with your existing Paypal account, Stripe account, etc.). Plus, users may not be familiar with the platform, so may be hesitant to give. Finally, Facebook is getting into the game! As usual, this feature is not yet available to any organizations except the “big guys” (Charity:Water, HSUS, World Wildlife Fund, etc) but you can sign up your organization now to get notified when they roll it out to the rest of us. Facebook has released some screenshots (see below) of what the campaigns look like. You can see a few in action at the National Multiple Sclerosis Society’s page and World Wildlife Fund’s page. Basically, it works just like a GoFundMe campaign. You set up a timeframe, a goal amount, launch the campaign, and visitors can donate and share. Facebook has not yet said what their fee will be, but they have said that their goal is to break even–not make a profit–so their fees will be on par with or lower than other services. Facebook definitely has an ulterior motive here, besides just the desire to help you do good work. When you make a donation through Facebook, Facebook then has your credit card information on file. It’s secure, of course, but it’s on file, which makes it that much easier for you to make future purchases on Facebook. So if you want to purchase anything from ads to games to gift cards in the future on Facebook, well, it will be very easy because they have your payment information already stored! And whenever you purchase something on Facebook, Facebook makes money. 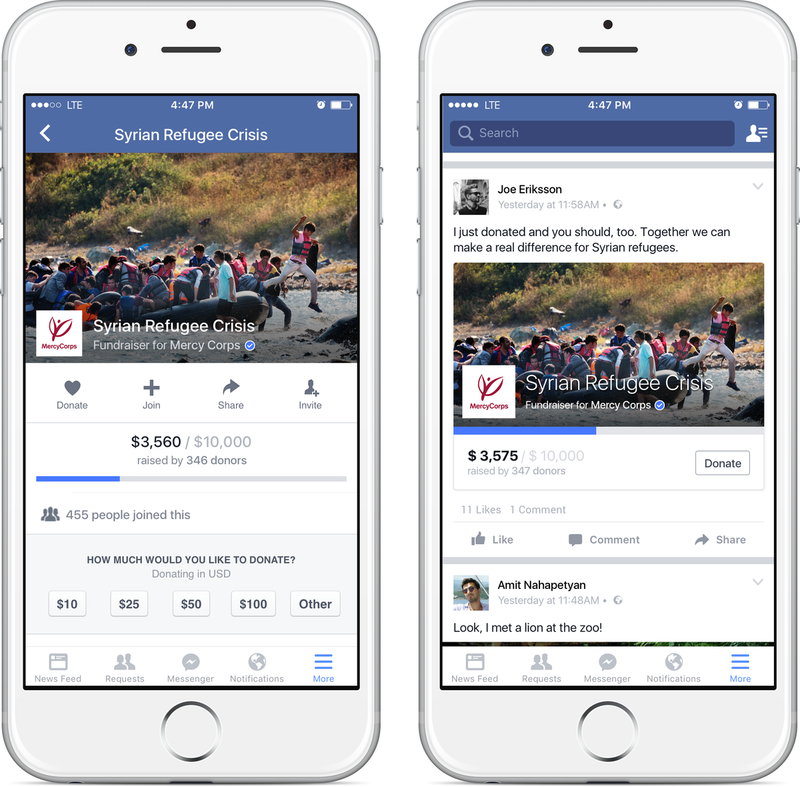 Facebook will be extending invitations to additional nonprofits sometime in early 2016, so not in time for #givingtuesday or end-of-year fundraising in 2015, unfortunately. But starting now, you can get on the list, and you can make sure your Facebook presence is ready. You can also start putting together text and images for your campaign so that you can be ready when the platform is opened to your organization. Facebook says they will vet all participating nonprofits — you must be a registered 501(c)(3) nonprofit in the US, have verified bank accounts and Facebook Pages, and comply with Facebook’s Community Standards. So make sure you have a Facebook page (NOT a profile! ), that you are a 501(c)(3), and that you know your EIN number. You’ll need that information, plus just a few other basic pieces of info (address, email, website address, etc.) to sign up. Fill out the form here to get on the list. I think this will be a game-changer for our fundraising efforts. The easier we can make it for donors, the more likely they are to give. I’ve always said we need to enable people to give where they are, whenever they are moved to donate–and the vast majority of our donors are on Facebook (over 1 billion daily active users!!). I’ll post updates as I learn new information, like release dates, image sizes for the platform, etc. What are your thoughts and questions? 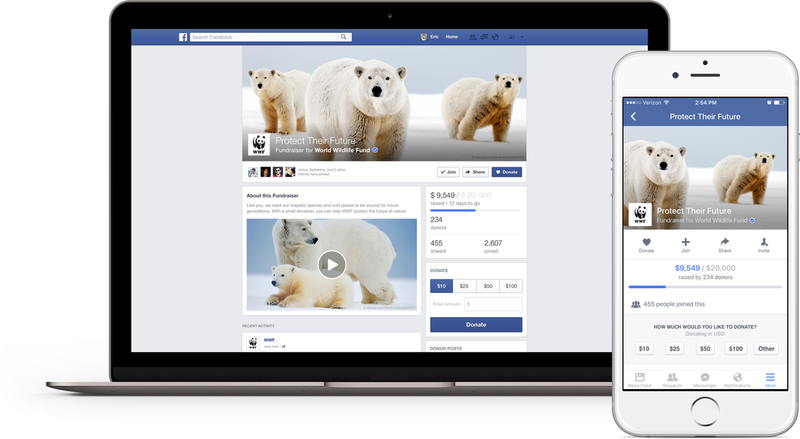 Would you start using Facebook’s donation platform in lieu of another tool you’re using now?